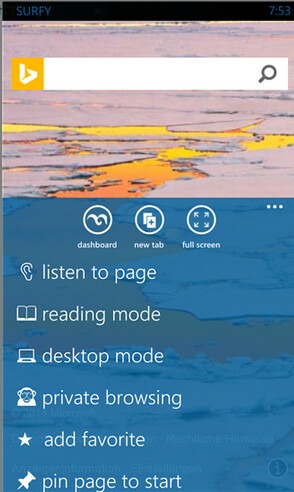 Surfy, the third party browser for Windows Phone 8 and Windows Phone 8.1, has received an update to version 4.3. Among the new features is a quicklink page called Launch Pad. The feature allows you to open quickly, pinned web pages. With Launch Pad, you can quickly access your favorite sites. It even includes an HTML5 game section that lets you play web based games while off-line. 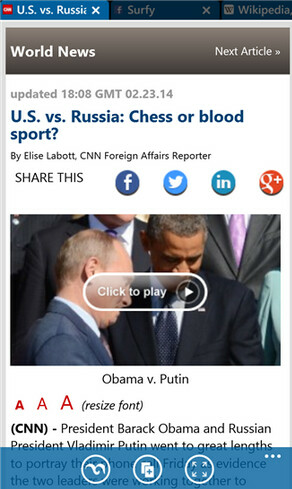 Right now, there is one game included, the popular 2048. Another feature of the update is a swipe gesture that allows you to go from tab to tab with a flick gesture using your finger. 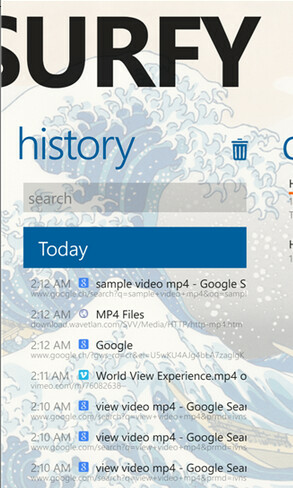 It's all in the latest version of the Surfy app, which is a free download in the Windows Phone Store. And if you speak Spanish and German, there are versions of the browser made just for you. Surfy comes with a ton of features including a night dimmer, the ability to transfer files via NFC, the ability to view a YouTube video, a "Shake" to refresh" feature, multiple search options (Yahoo, Bing, Google, Duck Duck Go), multilingual text-to-speech engine and mobile optimization to name a few. hopefully, Windows phone catch up real fast! I'm fascinated by the UI itself, its more original and a breath of fresh air compare to other OS. Please developers! help WIndows phone mature! If you like the UI, then download and install a WP launcher on an Android device. See if you like it or not. That doesn't change a damn thing about android except puts a less functional start screen than you would get from the real thing. Everything else UI related is still android, the menus other than the apps screen don't change. Launchers that try to make your android work like another competing os are just pointless. What makes Opera too long to come to WP? Most people on WP dont actually need Opera anymore. Internet Explorer can emulate Opera simply by just tinkering with the settings. The thing I like about Opera is that data compression. IE is great but lacks data compression. Dont get me started on Nokia Xpress browser or UCBrowser for WP. Those are slower than my grandmother's IE8. Ie has a data savings option now in wp8.1. Not sure how it works or how well because I'm on tmo with unlimited data. But its there. Nokia express also got some major bumps with 8.1. Cant speak on uc browser. Haven't used that in about a year. It's because Microsoft won't let them use there own Rendering engine (all browsers have to use trident). 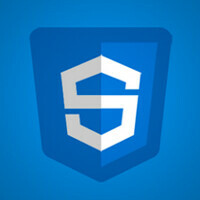 Trident is the least html5 compliance Web engine. This kind of apple like restrictions will ensure they stay at the bottom.